If you are not on the Internet, you don’t exist. The competition is greater every day and you can’t depend on the physical showroom or current customers. You have to expand, project your business and grow. The biggest showroom is the Internet and that’s where your target is, consuming information at all times, receiving offers and creating needs that you should take advantage of. That’s why you need Web Design. Web sites aren’t equally attractive, functional or successful and that depends on who makes them and the content you provide. I mix functional and attractive priorities, both are necessary for web design because an attractive but non-functional site bores people…they don´t understand it and a functional but horrible site doesn’t catch their attention, they go away. For all the above, you better choose a good website builder, that way you will get an excellent result and would have made a good investment. 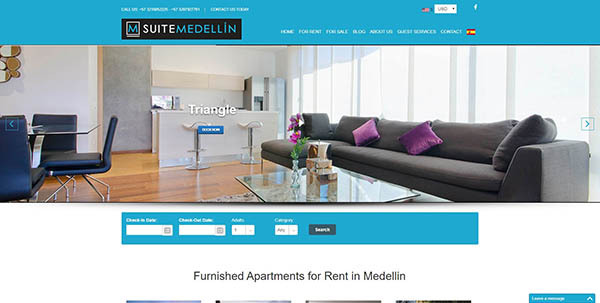 Furnished apartment rental website with booking functionality. Bilingual. Built by Carlos Lozano in 2016. Visit website. 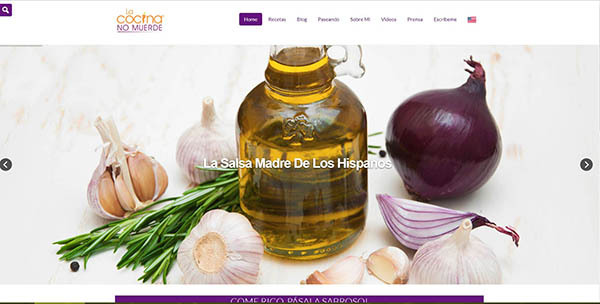 Latin Celebrity Chef Doreen Colondres website. Recipes & Blog. Bilingual. Built by Carlos Lozano in 2016. Visit website.